This recipe is as fun to make as it is delicious, and that’s exactly why my kids love making it with me! 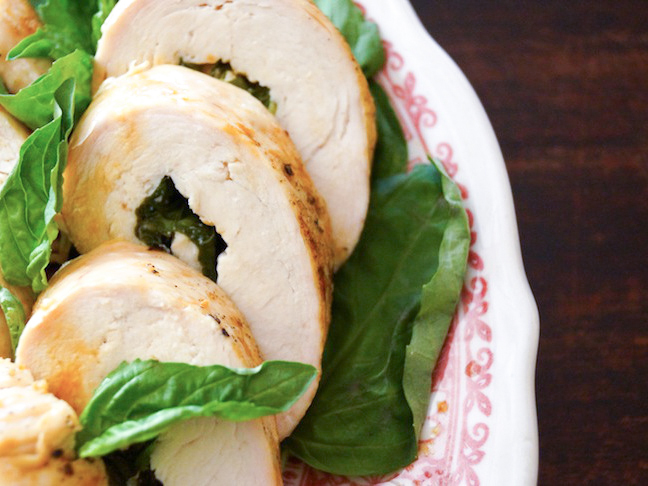 One of the best things about making a chicken roulade is that you can fill it with essentially any flavors you like—or that your kids like. 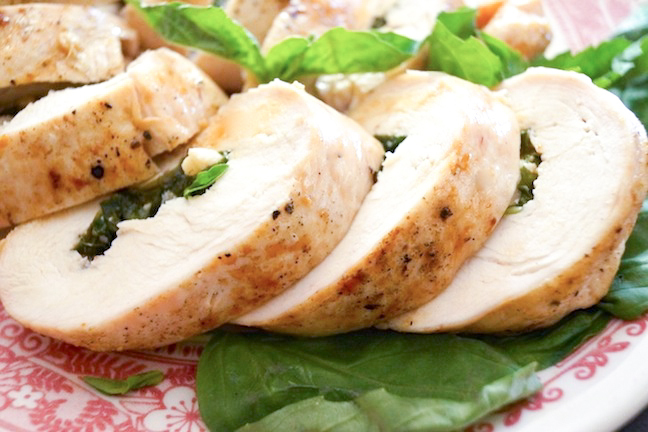 This chicken roulade with basil recipe is the brainchild of my eleven-year-old son who is a big basil fan. My nine-year-old son once made one that was reminiscent of pizza—tomato sauce, mozzarella, and, yes, pepperoni. The possibilities are endless—ask your kids what they’d like in theirs and have them help put it all together. The perfect starter meal to get your kids inspired in the kitchen. Step 1: Preheat the oven to 375 degrees and adjust a rack to the center. 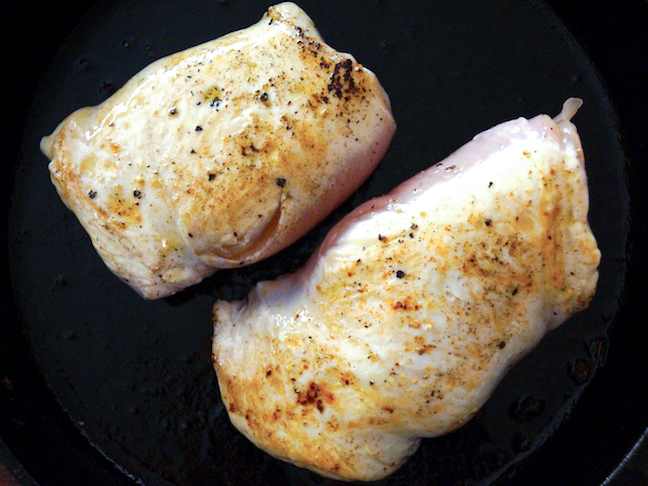 Place the two chicken breasts, smooth side up, on a clean, dry surface. Place a piece of plastic on top. 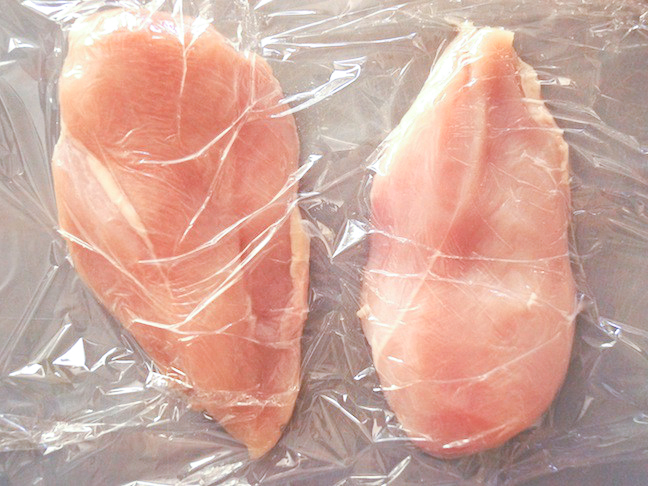 Step 2: Use a meat mallet or the bottom of a small sauté pan to pound the chicken, directly on top of the plastic wrap. They should be about ½ inch thick and even. Step 3: Gently flip them over so the smooth side is down, and season with salt and pepper. 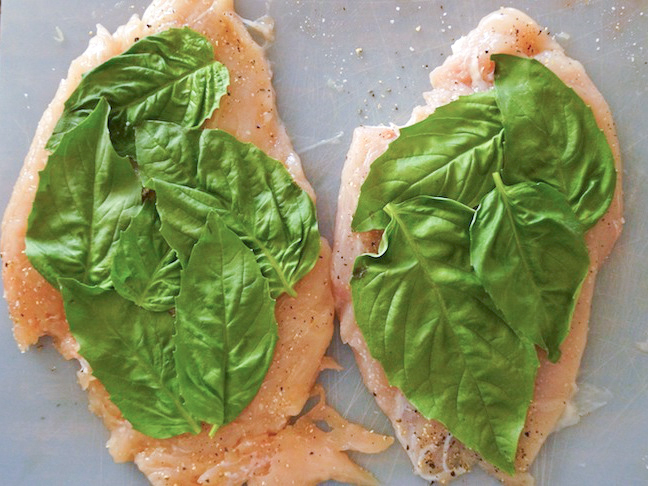 Step 4: Divide the basil leaves between both pounded pieces of chicken. 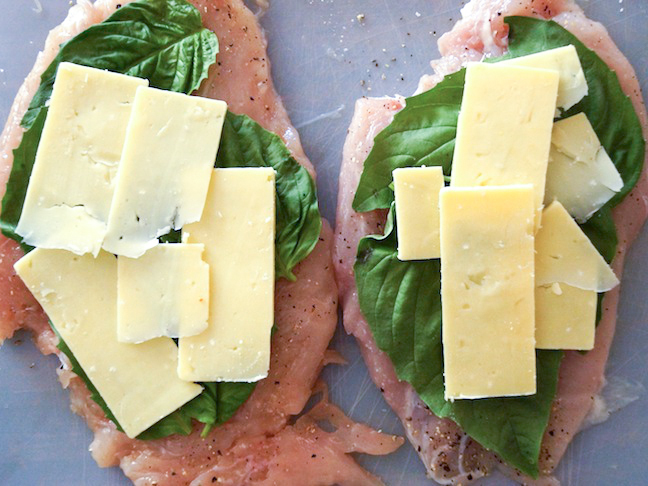 Step 5: Now divide the slices of cheese between the two, placing them directly on the basil leaves. 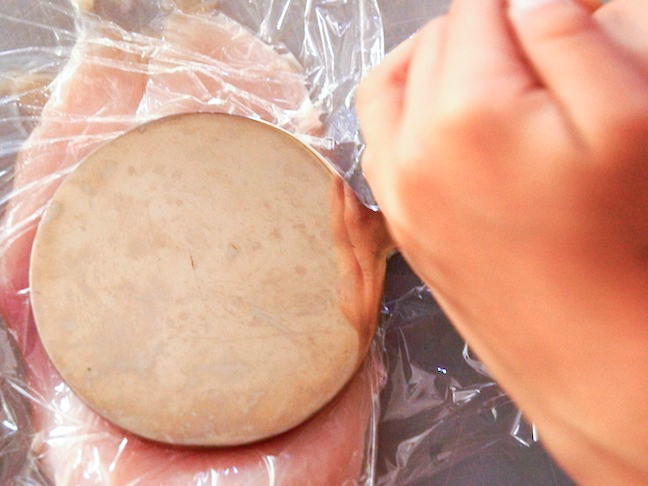 Step 6: Very gently, starting at the end closest to you, roll the chicken, taking care to keep all of the filling inside. Finish rolling when the seam is on the bottom. Step 7: Coat the bottom of a small sauté pan with olive oil and place it over medium-high heat. 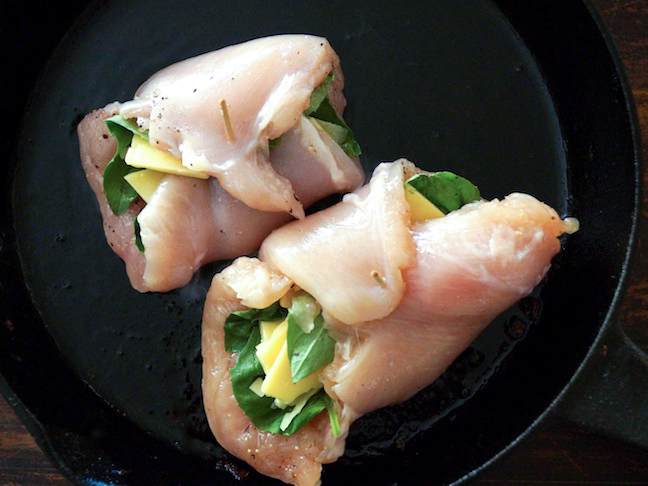 Sprinkle the chicken with salt and pepper, and very carefully place the rolls, seam side up, in the preheated sauté pan. Immediately stick a toothpick in the center to keep them together. Step 8: Once the underside of the roulades are nicely browned, remove the toothpicks and roll them over so the seam side is down. Step 9: Place the pan in the preheated 375 degree F oven and roast until the chicken is cooked through, about 20 minutes. 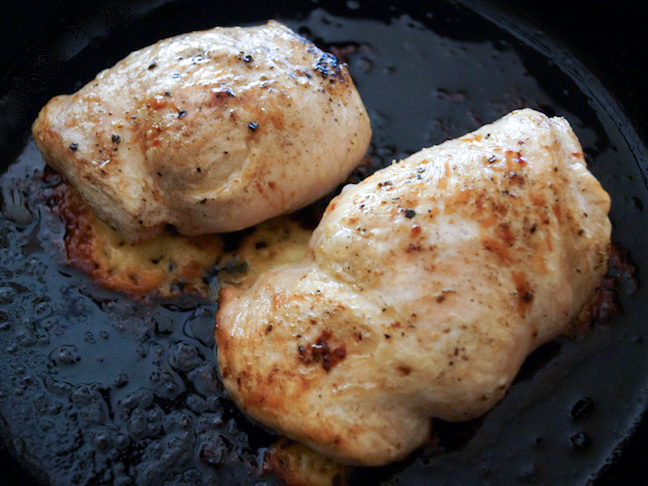 Step 10: Remove from the oven and let the chicken cool in the pan for about 5 minutes. 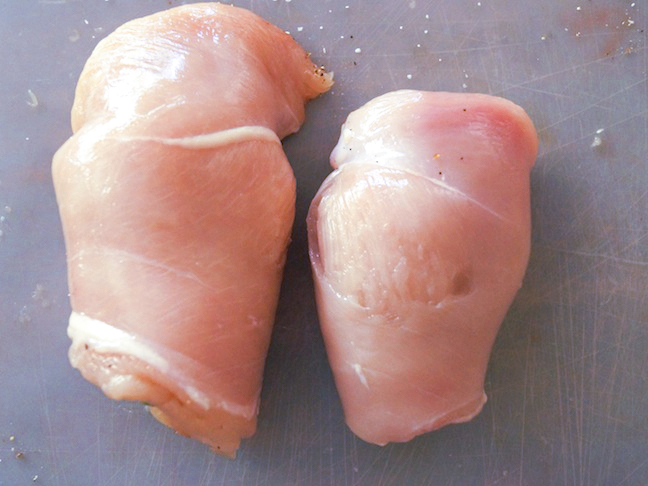 Place the roasted roulades on a clean, dry cutting board and slice them into approximately 1 inch slices.